When it comes to plumbers, none are more reliable than John’s Plumbing & Pumps, Inc. Our local plumbing company has been in the business for over 6o years, meaning we’ve picked up a number of tricks of the trade along the way. And we can get routine work done fast! But just because our plumbers work quickly, that doesn’t mean they rush through the job. It’s important to get any repairs done right the first time so you don’t have to be on the phone again the next day with the same problem. Our plumbers can do it all. This includes septic pumping and repairs in Tenino, with reliability you won’t find anywhere else. Why do septic tanks need to be pumped? When you’re connected to city water, you don’t have to worry about drainfield pumping. This is because part of your water bill includes paying for the local wastewater treatment plant that does the same things as a septic tank but on a massive scale. There’s rarely a chance for anything to go wrong due to the number of experienced employees working. But for septic tanks, you have a private draining field. And if this gets full, unlike city water, your waste has nowhere to go. To fix this, you need professional septic pumping that can pump out enough waste so that your fixtures can become usable again. What happens if I don’t get septic pumping done? 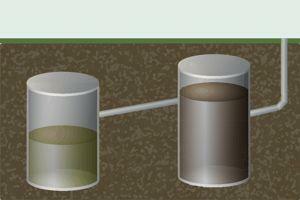 If your drain field gets full, then what does that mean for you and your water usage? In some cases, it can mean you can’t use any water at all. Over time, you might begin to notice that your septic tank becomes less efficient. It can start to take a while for drains to function, which can mean that you’ll always have baths even when trying to shower. In the worst case scenario, the toilet can backup. And it might not just happen in the toilet either. Depending on your plumbing configuration, the toilet water and waste might be forced to find an exit somewhere else, like in the bathtub. Ask us about our Maintenance Plans! The best kind of repair is the one you don’t need! Call us about our maintenance plans that can stop major problems before they start! 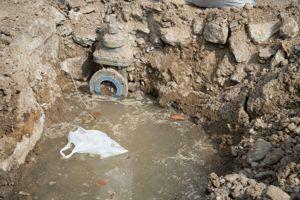 What other types of septic repairs can you do? John’s Plumbing & Pumps are the experts on septic pumping and repairs in Tenino!